The BITS MCA Entrance Exam is a university level examination organized by the Birla Institute of Technology, Mesra. Generally, this entrance conducted for providing admission in the first year of full-time Master in Computer Application (MCA) programmes offered by various campuses of BITS like Mesra, Noida Jaipur, and Lalpur. BITS MCA 2019 examination will be held through computer-based mode. The application forms are available from 3rd April 2019. This will be a Full-Time MCA Programme 2019-2022 of duration 3-Year (6-Semester) at the Birla Institute of Technology, Mesra, Ranchi. For more details about BITS MCA 2019 read the article carefully. Candidates must complete and submit the application form online only. BITS MCA Online application process has been started from 3rd April 2019. Candidate can Click Here to apply for MCA Entrance Exam. Qualifying Exam: Candidates must pass Intermediate or equivalent from a recognized board in Mathematics / Computer Science / Information Practices as one of the subjects. B.Sc. with Mathematics or Statistics as one of the subjects at graduate level. Minimum Marks: Candidate has to obtain the minimum score marks of 55% for general and 50% marks for reserved category. Subjects: Candidates should pass the Intermediate examination with Mathematics and Science. Appearing Candidates: Final year students can also apply. Mode of payment would be through State Bank Collect. The application fee will not be refunded at any circumstances. Visit the official site of the link. Hit on MCA Entrance Test application 2019. Upload scanned images- photo /scanned signature. Click on the submit option and don’t forget to take the printout of it for future use. After successfully submitting the application through online, applicants were needed to send the printed application along with required documents to the below address. Mode of Exam: Online mode (Computer Based mode). Type of Question: Only Multiple Choice Type will be asked. Marking Scheme: Four marks will be awarded for each correct response. Negative Marking: One mark will be deducted for each wrong response. Co-ordinate Geometry: Equations of a line, mid-point, intersections Rectangular Cartesian coordinates, etc., equations of a circle, distance formulae, the pair of straight lines, simple geometric transformations such as translation, rotation, scaling, parabola, ellipse, and hyperbola, etc. Calculus: Limit of functions, continuous functions, simple examples of maxima and minima, cone, cylinder, Taylor Series, integration of function by parts, differentiation of function(s), tangents and normals, by substitution and by partial fraction, definite integral application to volumes and surfaces of frustums of a sphere etc. Differential Equations: Differential equations of first order and their solutions, homogenous linear differential equations, linear differential equations with constant coefficients. Vectors: Addition and subtraction of vectors, Position vector, scalar, and vector products and their applications to simple geometrical problems and mechanics. Probability and Statistics: Basic concepts of probability theory, frequency distributions, averages, skewness and kurtosis, dependent and independent events and measures of dispersions, random variable and distribution functions, mathematical expectations, the principle of least squares, correlation and regression, binomial, Poisson, normal distributions and curve fitting. Computer Basics: Organization of a computer, input/output devices, Central Processing Unit (CPU), Structure of instructions in CPU, backup devices, computer memory, memory organization, etc. Data Representation: Representation of characters, binary and hexadecimal representations, integers, and fractions, Binary Arithmetic: Addition, subtraction, division, multiplication, 1’s and 2’s complement arithmetic, Boolean algebra, truth tables, floating point representation of numbers, normalized floating point representation, Venn diagrams. Computer Language: Assembly language and high-level language, Computer Programming in C, Multiprogramming and time-sharing operating systems. BITS MCA 2019 Admit card will be available on the official portal via online mode. Admit card will be issued to the candidates after the 3rd week of May 2019. Candidates need to enter their name, form no. and Date of Birth in order to download the admit card. Admit cards will also send by e-mail/post to all candidates. Instructions to be followed during the examination. BITS MCA 2019 Result will get disclosed in the third week of June 2019. The result will be published in online mode only on to the official site. 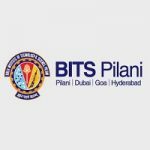 On the basis of the rank scored by the candidate in the entrance, the admission will be provided on the various campuses of Birla Institute of Technology. On the basis of the rank obtained by the candidates in the BITS MCA entrance exam, candidates will be shortlisted. Merit list will be prepared according to which candidates will be allotted college and course. The merit list will be displayed on the official site and in the Notice Boards of the institute/concerned campus after the 3rd week of June 2019.